The Quran is in Arabic as are the hadiths of the prophet (sallaahu alayhi wasallam), and as Muslims we should have the desire to want to learn the Arabic language. Learning this beautiful language will help make our devotion and worship more meaningful inshaa allaah. I remember someone saying that the understanding of the Quran is for the heart, meaning that it will touch you. Al- Arabiyyah Bayna yadayk: Arabic at Your Hands is the latest curriculum in teaching non-native speakers of Arabic. The series has a modern approach using the latest methods from the science of linguistics as the foundation of the curriculum. 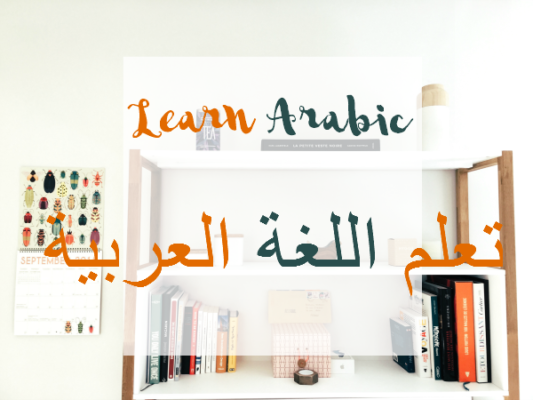 It begins from the basic level (with real beginners) and ends with the students to nearly master the language to the degree that enables them to continue their studies in universities entirely in Arabic. Madinah Arabic Books: For English-Speaking students, this set is a comprehensive and popular course for the teaching of the Qura’anic and Traditional Arabic, originally devised and taught at the renowned Madinah Islamic University catering for the non-Arabic speaking students from all over the world. Over the years, this course has enabled students to become competent in their use of the Arabic language and to participate and benefit from scholarly pursuits such as Qur’anic exegesis, hadith, fiqh, serah, history, and classical and modern Arabic literature. This Arabic course also consists of three books which are available to download from Abdurahman.org. It’s beautifully organized and includes the solutions as well as audio. You can watch the DVDs of the lessons HERE which are brilliant mashaa allaah. What other resources would you recommend to learn Arabic with? There can be no doubt that learning the Arabic language should be one of the top priorities and certainly, it should be seen as one of the basic requirements for a person who wishes to study Islam. Similarly, the teaching of Arabic is equally a priority for those who wish to impart Islamic information to others.